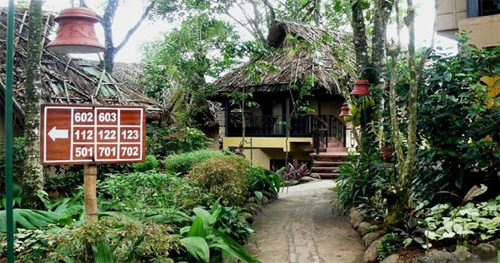 Luxurious property, Club Mahindra is an ideal residing palace for both business and leisure travelers located in the Thekkady. The hotel is all enclosed with perfect scenic beauty and set almost 2, 214 m above the sea level overlooking glory of nature. 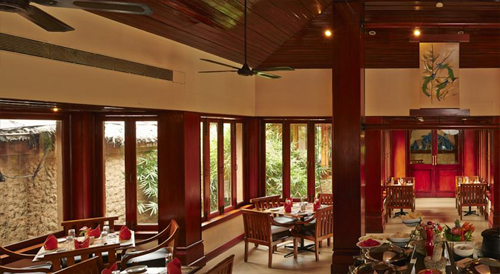 Guests can make their vacations a memorable one with the use of exciting activities offered within the premises. 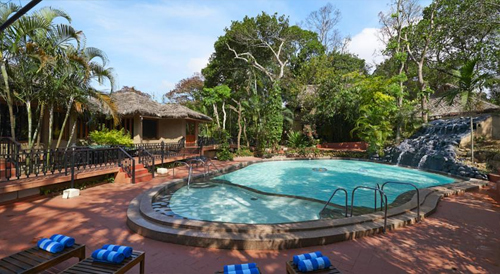 Take a refreshing dip in the outdoor swimming pool to get revitalize. Well-maintained gymnasium is here for fitness freaks to carry on with their daily fitness regime without any trouble. Rejuvenate your mind, body and soul by availing various relaxing therapies in the on-site Svaastha Spa centre. For business travelers, the hotel has the facility of spacious conference hall with latest technology fittings. 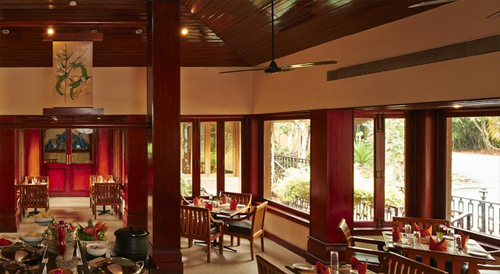 Unwind and relax at the on-site restaurant after all day travel while relishing array of mouth watering delicacies. 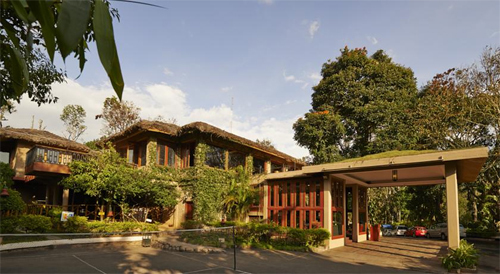 For peaceful accommodation, guests can spread out and rest in the comfortably airy guest rooms, offering panoramic view of the surroundings greenery. All the rooms in the premises feature private balcony and are equipped with all the modern day amenities for complete ease. 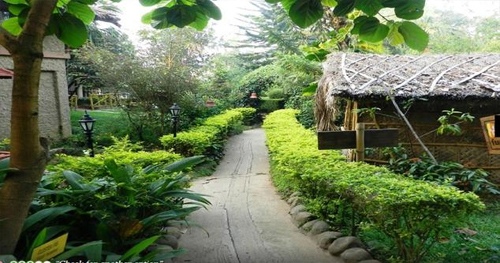 Guests can also choose to take advantage of other activities available here including outdoor sports, dance workshops, camping, birds watching and special kid's playoffs. 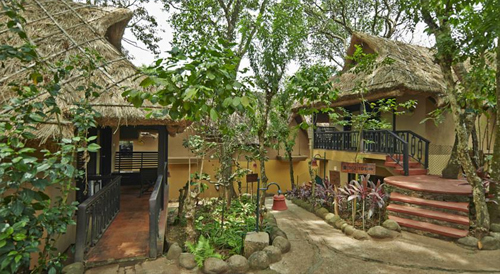 Club Mahindra offer peaceful stay in its 49 enchanting and spacious rooms featuring wooden furnishing and private sitting area. 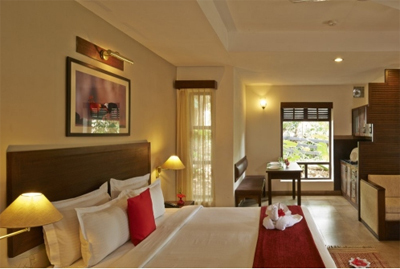 All these guest rooms provide you with scenic view of hills and landscaped garden area giving eyes a pleasing experience. 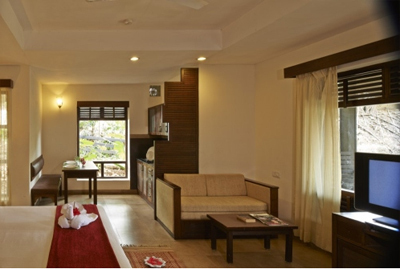 Amenities like television, mini bar, safe and tea/coffee make are offered here for additional convenience. En suite bathrooms have hairdryer and complimentary toiletries.